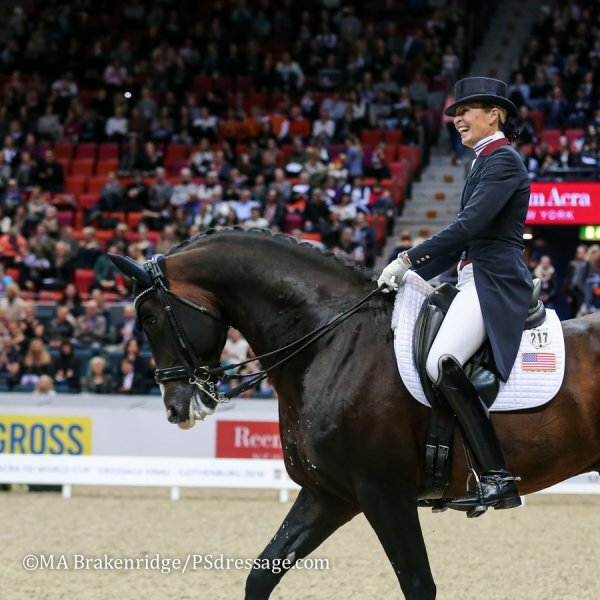 Gothenburg, Sweden – March 27, 2016 – Charlotte Jorst made a big impression at her first World Cup Final. So big, in fact, that her ride warranted a little discussion at the press conference despite her finishing out of the top three. 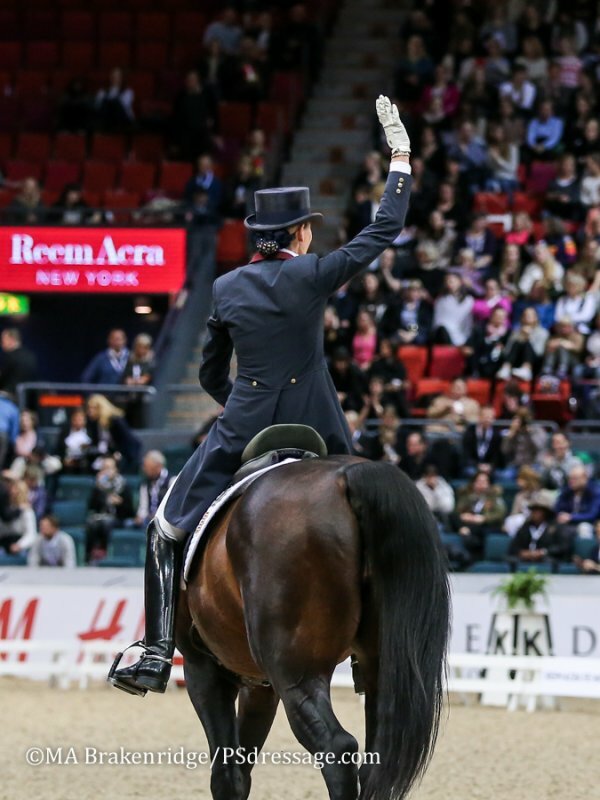 Louise Parkes, conducting the conference on behalf of the FEI, commented to Gustav Svalling, judge at C for the Grand Prix Freestyle, that Jorst came so close to the end of the ring on her final centerline that her horse could have reached out and kissed the judge. Jorst did her own choreography – “because I know him the best,” she explained – and Karen Robinson arranged the music. Click here to read more about the creation of Jorst’s freestyle. As she and Nintendo become more and more comfortable in their partnership, Jorst has been upping the difficulty of her freestyle, adding movements like piaffe pirouettes. 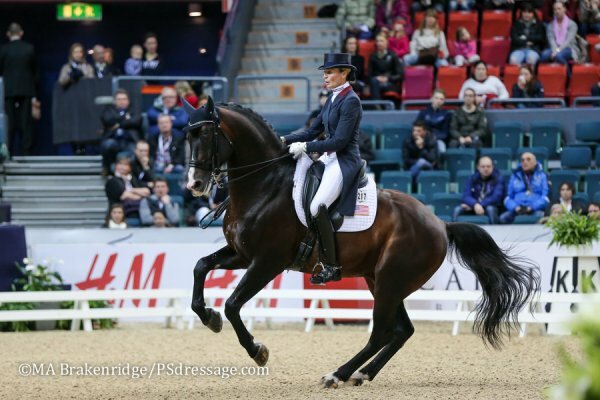 She is especially happy to tackle the tempi changes with confidence after some difficulty with those in the past. 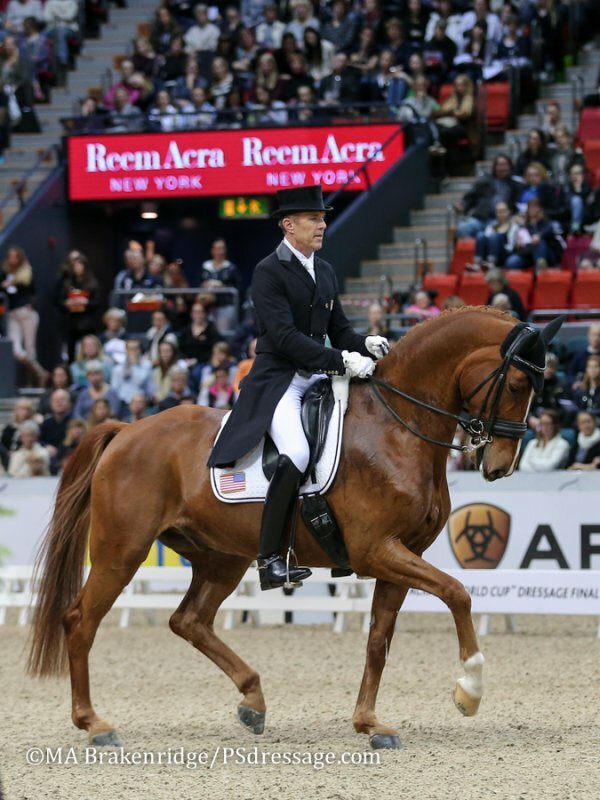 Also riding for the U.S. at the 2016 Reem Acra World Cup Final was veteran team contender Guenter Seidel on his up-and-coming mount Zero Gravity, owned by James and Charlotte Mashburn. 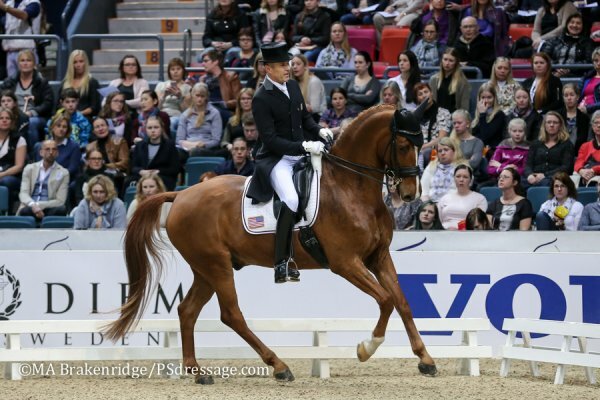 Seidel had to draw on all of his experience to give Zero Gravity a sympathetic and positive ride as the gelding dealt with significant nerves during the Grand Prix Freestyle. They finished 18th with a score of 67.464 percent. The pair rode to a beautiful piano composition created for them by a friend of Seidel’s. Although the horse’s tension kept him from being perfectly with the music, the relaxing melody showed off his elegant gaits. 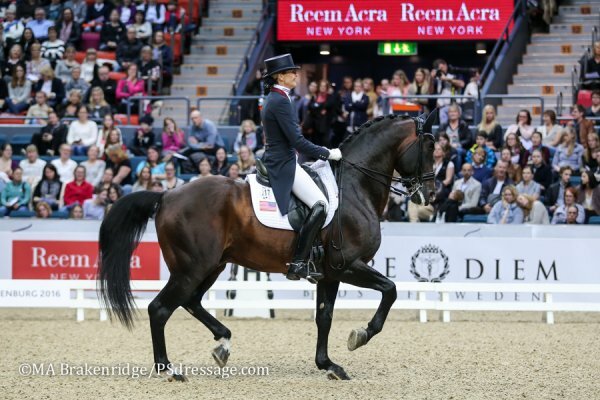 Seidel’s aim in bringing Zero Gravity to the World Cup Final was to give the horse some experience in a challenging atmosphere.